In July, though, astronomers reported a new asteroid, named 2014 YX49, that shares Uranus’s orbital period of 84 years. Now computer simulations of the solar system by brothers Carlos and Raul de la Fuente Marcos at the Complutense University of Madrid, Spain, indicate the asteroid is a Uranus Trojan. The simulations show that the asteroid has maintained its position ahead of Uranus for thousands of years. “It is bigger, probably twice as big as the first one,” says Carlos. The new asteroid is brighter than the first, but its exact size depends on how much light its surface reflects. If it reflects half the sunlight striking it, it’s 40 kilometres across; if it reflects 5 per cent, its diameter is 120 kilometres. The new asteroid was found by accident, which Carlos says implies there should be more waiting to be discovered. He thinks its Trojans could number in the hundreds. 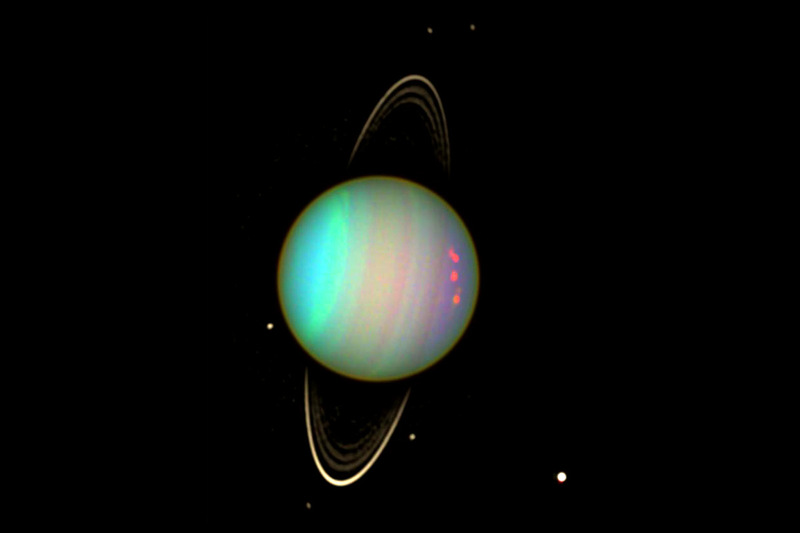 Unlike the Trojans of Jupiter and Neptune, the simulations suggest that the two known Uranus Trojans are transient rather than permanent. Carlos suspects Uranus lacks primordial Trojans because the other giant planets kicked them away. The simulations indicate that the new asteroid was once a centaur, an object that skirts between the orbits of the giant planets. About 60,000 years ago, buffeted by their gravitational tugs, it was caught ahead of Uranus in its orbit around the sun and became a Trojan; it is likely to remain so for another 80,000 years, before eventually becoming a centaur again. And Saturn? “The neighbourhood of Saturn is even more chaotic than that of Uranus,” Carlos says, due to Jupiter’s proximity. Still, he thinks Trojans of Saturn could exist.